William Groh was appointed keeper on 25 OCT 1879 and resigned on 28 FEB 1882. Henry J. Woods was appointed keeper on 25 FEB 1882 and was discharged on 24 DEC 1901. 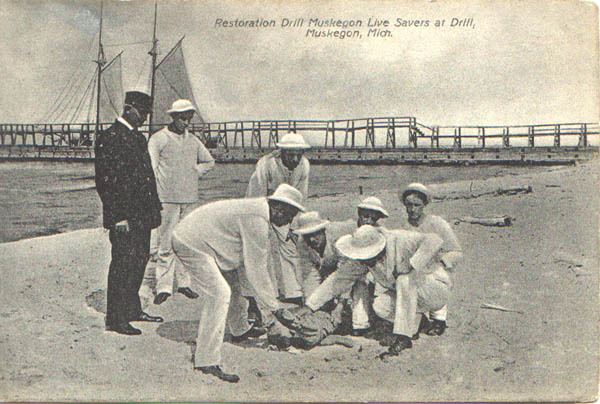 John A. Nelson was appointed keeper on 15 FEB 1902 and was still serving in 1915. 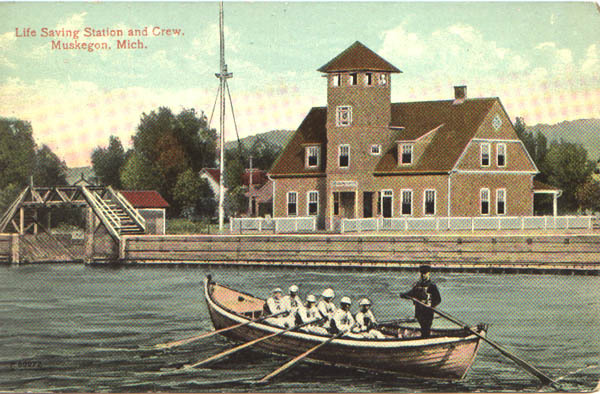 The boathouse of Muskegon Station in Muskegon County, Michigan was conveyed July 26, 1878. 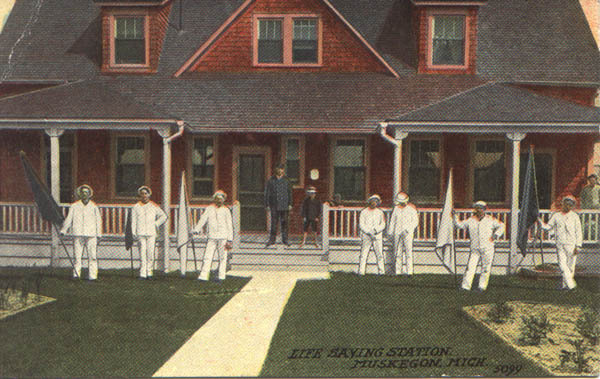 Shortly thereafter it was found that a station was indeed needed for this area. 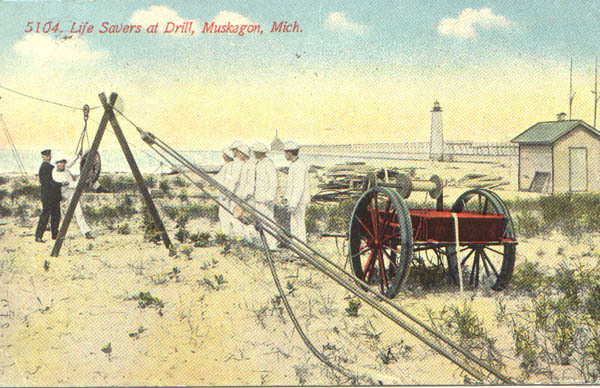 A station site on the north side of Muskegon Harbor was acquired from the same grantor, C.D. 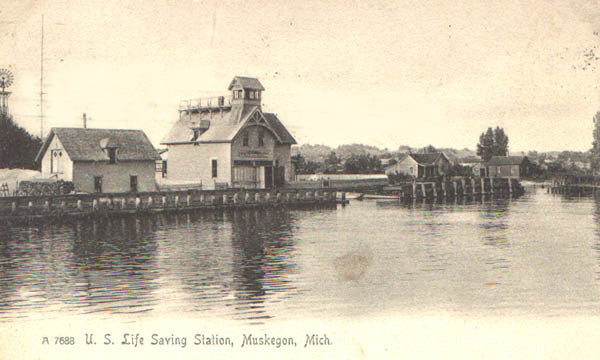 Nelson of Kalamazoo, Michigan by deed on March 24, 1883. 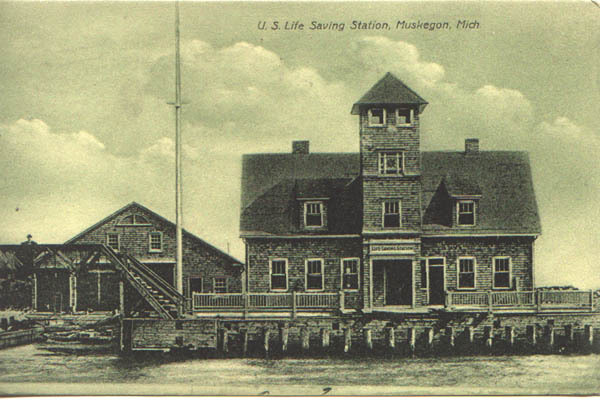 In 1903 the station buildings were in great danger of being washed away so it was decided advisable to acquire a new site on the south side of the harbor. 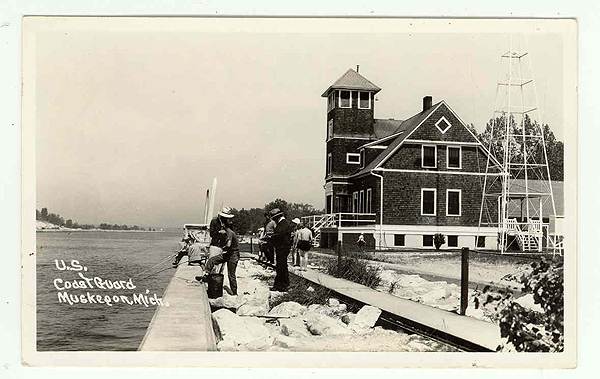 Land was conveyed by deed dated July 18, 1904 by the trustees of the Pere Marquette Railroad Co.